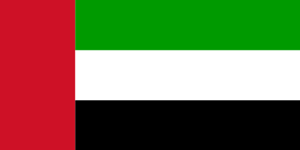 The United Arab Emirates is an Arabian Peninsula settled mainly along the Persian Gulf. Dubai, alone, has captured the hearts of many travelers, owing to the ultramodern architecture and extravagant shopping it offers. Abu Dhabi is the island capital and home to the Shaikh Zayd Grand Mosque. Dubai is a true shopper’s paradise and if you are a shopaholic, then Dubai it is! Let TCE be in charge of your money matters, while you plan that shopping spree to Dubai! The Dirham is the official currency of United Arab Emirates. The official code is AED, although it is also known as DH or Dhs. Each Dirham is divided into 100 fils. TCE offers its customers superior exchange rates, unavailable anywhere in Canada. There are no hidden charges and our quality services ensure customer satisfaction. Time is of value and TCE knows it. With the online ordering facility, you just have to make an online payment using your Interac debit card and either pick up your currency from any of our stores or opt for home delivery. With the home delivery option, your exchanged currency is delivered within two business days through Canada Post.